I'm moving to Akron soon, and after seeing about this Melt Bar & Grilled on Man Vs. Food, I think I am going to have to stop by, and take on The Melt Challenge. 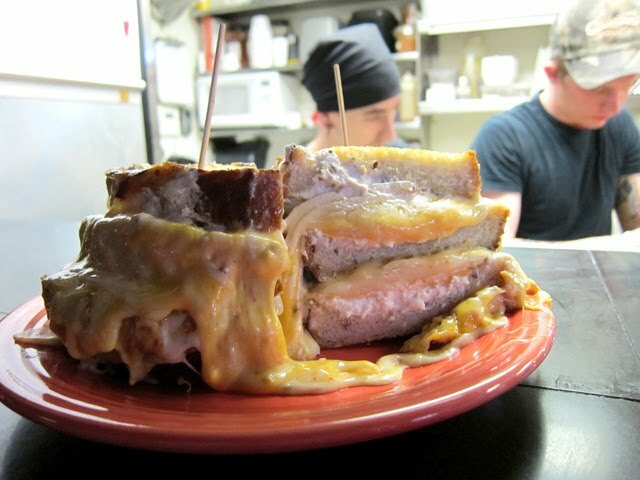 Our monster grilled cheese featuring 13 different cheeses, 3 slices of grilled bread and a pile of hand-cut fries & slaw. Over 5lbs of food! 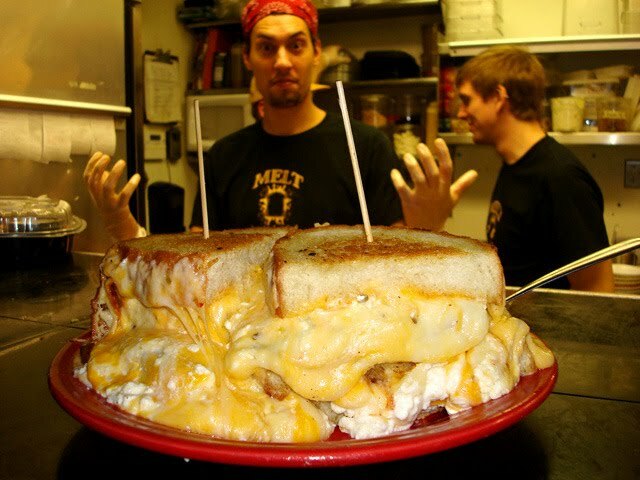 Finish it all without any help or trips to the bathroom and you will be awarded a Melt t-shirt or Melt Pint Glass, a $10 gift card and we'll immortalize you in our online Melt Challenge Hall of Fame. 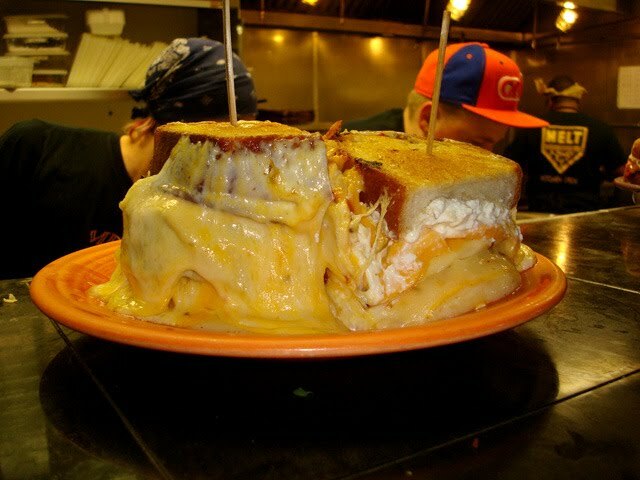 Yeah that's right, 5 pounds of food, including 3 pounds of cheese. Mmmm. 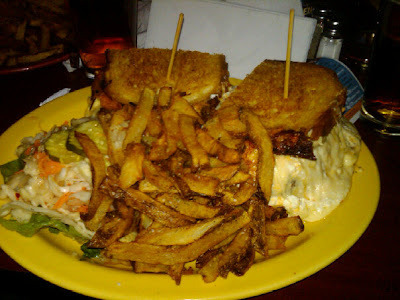 I know I couldn't finish it, but I would love to try!